A creative and unique design perfect for sending to an important person on their most special birthday. 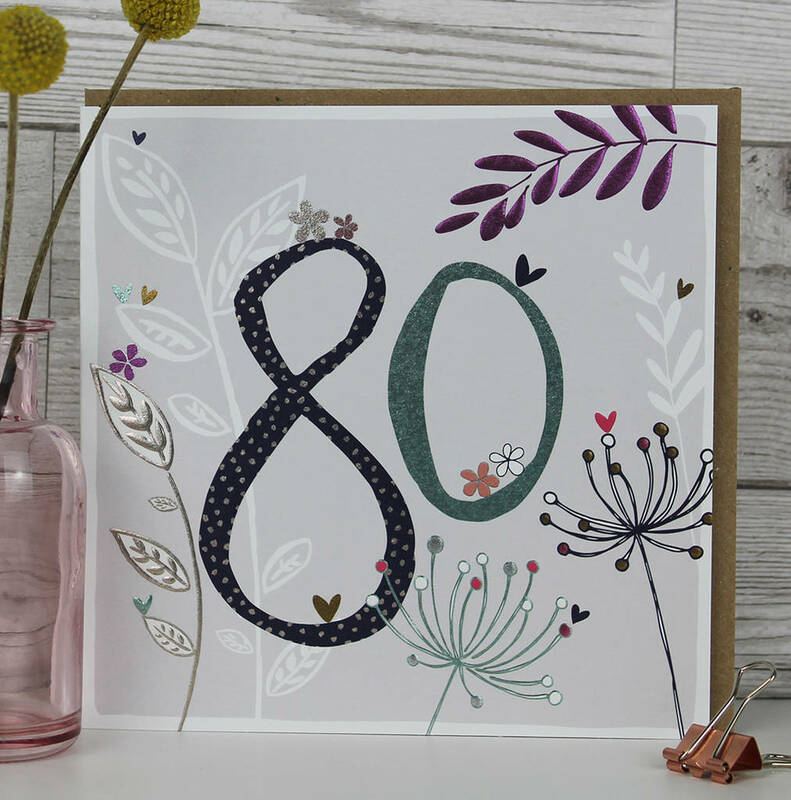 A beautifully hand drawn, foiled and embossed card, thoughtfully designed to help make such an amazing birthday as special as possible. The bright, vibrant colours are perfect for such a huge occasion as well as making the card stand out from the rest! Provided with a matching envelope and a protective sleeve. Printed and finished all in the UK. The cards are sent via First Class Post Royal Mail. Printed on high quality FSC (Forest Stewardship Council) certified card. This product is dispatched to you by Molly Mae.